Rebates Money – Credit Card Promotions, Bank Deals, Chase Coupons, Restaurant Coupons, & Birthday Freebies! Capital One is offering a new savings account to new account holders called the 360 Money Market. This article will tell you how you can receive a top rate of 2% Annual Percentage Yield (APY) and earn up to a $500 bonus. This promotion ends May 19, 2019 so act now and start saving. New account holders will make a deposit to start the account. The amount you initially deposit will determine your APY rate as well as the bonus you will receive. Annual Percentage Yield (APY): An APY of 2% applies to accounts with $10,000 or more. An APY of .85% applies to accounts with less than $10,000. Bonus: Account holders who deposit $10,000 or more AND maintain a balance greater than $10,000 for the first 90 days will receive a $200 bonus. Account holders who deposit $50,000 or more AND maintain a balance greater than $50,000 for the first 90 days will receive a $500 bonus. Start saving with the Capital One 360 Money Market and a reminder to act soon! The promotion will end May 19, 2019, 11:59 p.m. ET . Are you looking for a way to save money and build up your financial rapport? Well look no further! Chase is offering a checking account for college students between the ages of 17-24 called the Chase College Checking account. This account has no monthly service fee and you can get $100 from opening an account. Here are some of the benefits, requirements, and how to open the account. Please sign up for a Chase College Checking account today, and make sure to check out their website or contact a branch near you for additional information. With universities starting up their fall classes, many college students have returned to re-indulge in their studies. If you’re a student attending a university this fall, this new deal from Chase Bank can help you survive the broke college student life style. Currently, new Chase Bank customers can receive $100 when opening up a new college checking account. If you’re between the ages of 17-24 you are also not required to pay a monthly service fee for up to 5 years! Not only do you get a free $100 in your pocket, but the removal of any monthly service fee will allow you to save up money you otherwise would have to forgo. Signing up with chase bank includes other benefits as well. 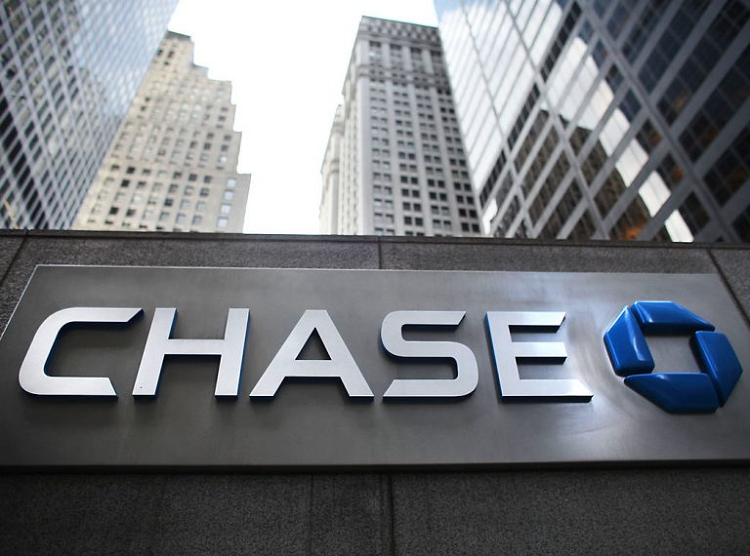 Currently, Chase has 16000 ATM’s across the country that you will have access to, and 5100 branches for you to visit. Additionally Chase Bank offers a service known as Chase QuickPay with Zelle. This convenient app allows you to send and receive money on the go, with no hassle involved. As a college student that may be struggling with student debt and other personal spending, there is no better time to open a checking with Chase. With the offer expiring shortly after New Years, it’s important you hop on this deal as quickly as possible. To claim your $100, a deposit of $25 or more must be made at account opening, with an additional 10 valid transactions to occur with the checking account within 60 days of account opening. Alleviate the pain of the broke college student lifestyle, open a college checking account with Chase today! Are you a college student in need of a bank account? If you sign up with Chase College Checking account as a new customer, you are rewarded with a $100 bonus through qualifying activities. When you bank with Chase, you have easy access to more than 16,000 ATM’s and over 5,000 branches from state to state. It also has its beneficial perks, when you use the QuickPay method through the Chase application to be able send and receive money within minutes. In order to open an account, you must be a student from the ages 17 to 24 years old and are able to provide a student ID or proof of enrollment from the school you are currently attending. No monthly service fee is added when you open an account until the expected graduation date. To receive the bonus: you must open an account, deposit $25 or more at account opening, sign up for the Chase Checking Paperless statements within 60 days, and complete at least 10 transactions within the account opening. After you have completed these requirements, Chase will deposit the bonus on your account within 10 business days. Offer is valid until January 1, 2019. For more information head over to the nearest Chase bank in your area. For college students that don’t have a bank account it would be a good idea to start thinking about opening one. Having a bank account can be very beneficial and the earlier you have one the better. Chase has this deal for college students where if they open a college checking account today they will be able to receive $50. Not only do the students get an easy $50 there’s also a lot of benefits that come with having a checking account with Chase. Benefits include having a mobile check deposit which makes it simple to check your account and deposit money, no need to go to the bank and wait in line. Also there’s text banking which can give you updates on your account. Bankers will also help guide you towards the best plan available. Chase would also monitor your account to make sure that no one else can steal your money. Chase has also made it easier to split checks with Chase Quickpay. You also no longer need paper to create statements, it is all online. To get this offer all you have to do is follow some simple steps. For starters this offer only applies to those that don’t already have an account with Chase, and those that have fiduciary accounts or have closed an account within 90 days or closed with a negative balance are also not allowed to open an account. Once you have opened an account you must deposit $25 into the account opening. Make sure to do all this withing 60 days. Log in to your Chase account and enroll for Chase Checking Paperless Statement. Afterwards you have to make at least 10 more transactions into your account. Ten business days after you have completed these steps you will receive $50 into your Chase account. Chase is offering business owners nationwide the chance to earn a $300 bonus when you sign up and open a new Chase Business Checking® account by June 28, 2018. To qualify for this generous offer, all you would need to do is head on over to your local branch and deposit $1,000 in new money within 10 business days & maintain that balance for 60 days. Once you have done so, be sure to complete five qualifying transactions within 60 days of account opening. Qualifying transactions are: Debit card purchases, Checks paid, Chase QuickDeposit, ACH (Credits and Debits) or Wires (Credits and Debits). Once you have met all the above requirements, you will be able to earn the bonus as well as complete access to a wide variety of account features! If you are currently interested in this rather attractive bonus, I recommend you apply as soon as you can. Now until June 28, 2018, Chase is offering a $300 Business bonus just by opening a new business account with and meeting few requirements. To get started, simply enter your email address to receive your $300 Coupon then you’ll have to take that coupon into a local branch to take advantage of the offer. After you have completed all the above checking requirements, Chase deposit the bonus in your new account within 10 business days. The Chase Total Business Checking® has no monthly service fee when you maintain a daily minimum balance of $1,500 or more OR if you maintain a linked Chase Private Client CheckingSM or Chase Premier Platinum CheckingSM personal account. Otherwise a $15 Monthly Service Fee will apply ($12 Monthly Service Fee when enrolled in Paperless Statements). 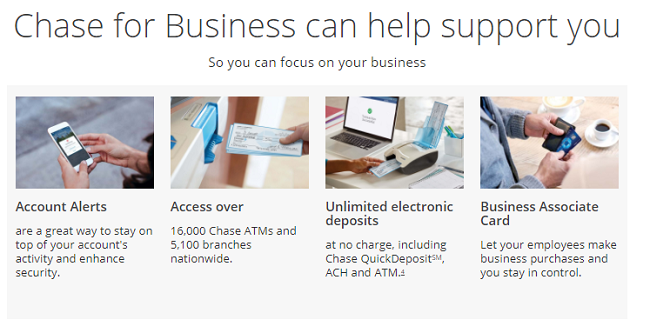 If you are a current business owners looking to start a new banking experience, then be sure to check out what Chase is offering! With the easily achievable requirements, there should be no reason to not sign up! Additionally, you will be a part of one of the nation’s most trusted institutions! For those who are qualifies, I recommend you act as soon as you can. If you are not interested or looking for other promotions by chase, be sure to also view our Chase Savings $300 Coupon Review and Chase Checking & Savings $500 Coupon Review! College students take note! Chase has a brand new deal for students, promising $50 after opening a new Chase College Checking℠ account and using it. That’s a pretty nice bonus to kick off the semester! The process is simple: Open up a Chase College Checking℠ using the coupon from their website, enroll for digital statements, and complete ten transactions using the account. In other words, open it and use it, like you would any other account. Within 10 days, that easy money enters into your account for you to use on anything. If that wasn’t enough to change your mind, Chase also offers a ton of features for its customers, like mobile check deposit, QuickPay Zelle, and text banking, allowing you the power to manage your account straight from your phone! Chase also gives banker guidance as well as real-time fraud monitoring, giving you that boost to start your savings (and deal with pesky loans). That’s not all, as Chase also charges NO monthly fee for the account until you graduate, meaning your money stays the way you left it. If that doesn’t sound like a sweet deal to you, then I don’t know what will. It’s best that you hurry ’cause this deal only lasts ’til August 13, just before school starts. Don’t be the person to regret, be the person that does. Chase Bank is the best at offering special bonus promotions for new Checking, Savings and Business account sign-ups. Look no further for those seeking the Chase $500 Coupon! Chase is known for offering great deals and promotions in hundreds of dollars just by opening an account with a few additional requirements. Forget those measly free gift promotions and actually make your banking experience worth while with an extra cash bonus! Chase is aggressive in which they occasionally offer high bonus amounts online for a limited time. They often remove the promotion before the offer ends, so it is advised to act on them as soon as possible to be able to receive the full advantages of the promotion when it is still valid. Now until June 14, 2018, Chase is offering a $500 checking and savings bonus just by opening a new checking and savings account online or in-branch with a few additional requirements. The offer is broken down into a $300 bonus for the checking account and a $200 bonus for the savings account. Of course, you have the choice to earn one or the other, but you have to consider the fact that Chase often changes these promotions frequently and you’ll never know when another chance like this will arrive. The promotion will often range from $350, $200, to even $150 to the currently high $500 for the same requirements. So why not act now and take advantage of this offer while it is still lasts. Also, opening both accounts will give you access to and abundant of banking features along with a generous cash bonus and it all starts with an email address. Going into the details of the promotion, note that there are two parts to this offer. You can have the $500 coupon emailed to you when you submit your email address on the promotion page or now you have the option to apply for your new accounts online. You can earn $300 for the Chase Checking account and earn an additional $200 for the Chase Savings account. Keep an average beginning day balance of $5,000 or more in any combination of this account and linked qualifying Chase checking, savings and other balances. Maintain at least a $15,000 balance for 90 days from the date of deposit. Have a linked Chase Premier Plus CheckingSM, Chase Premier Platinum CheckingSM, or Chase Private Client CheckingSM account. You should also keep in mind that there is a Savings Withdrawal Limit Fee of $5 for each withdrawal or transfer out of the account over six per monthly statement period. After meeting one or both of these requirements, your bonus will be deposited into the said account within 10 business days and the bonus will be reported as interest. In the past, there was also a $500 bonus for the Chase Business Checking account and a direct deposit is not required. This offer is only accessible to those who have other Chase products, such as a personal checking or savings account. To access the coupon, you will have to sign on to your Chase online account in order to get to the coupon page. Then you’ll get a unique coupon code generated and you’ll have to take that coupon into a local branch to take advantage of the offer. Open a Chase Business Checking account. Deposit $500 within 10 days of account opening. The bonus will be deposited into the account within 10 days after the qualifying activities have been met. The terms and conditions are similar to the regular Chase Checking bonus. Bonus is forfeited if the account is closed within 6 months and the offer is not available to customers who had a prior business checking account that the closed within the past 90 days.The $20 can be waived on Performance Business Checking accounts by maintaining at least $50,000 in business deposits. it might seem a little bit excessive just to avoid the extra $20 charge, so it might not be the best choice to opt for. All in all, this is a great bonus that is unfortunately hard to come by due to the frequent changes in the offer. The expiration date for the offer lasts until June 14, 2018 but Chase usually takes down this promotion earlier than anticipated. When you think about, all you need is a direct deposit in the checking account and maintain $15,000 in the savings account. Bonuses are basically a waiting game. You have to make sure that you keep these funds for at least 90 days in order to be eligible for the cash bonuses. Also, if any of these accounts are closed within 6 months of opening by the customer or Chase, the bonus will automatically be deducted at closing. Overall, it is a great bonus to take advantage of, and if you happen to see this offer at any time don’t hesitate to join Chase!